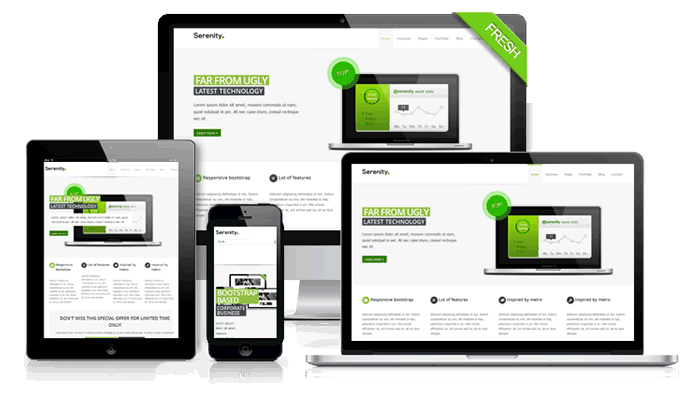 Responsive CMS websites and cms website applications built with bootstrap. No need to code from scratch! Create your own mobile optimized web-based apps from DMXReady templates that work on any smartphone, PC, or other Internet-enabled device. Native apps for iPhone, Android, and BlackBerry cost thousands to develop -- each. With MobileReady, build one web-based app that works on any platform. Enjoy full ownership and control of your software investment. Enhance, recycle, resell etc. your web app template without limits OR monthly fees! Run a contest to drive more traffic to your website, engage existing customers, or generate qualified leads -- Ready-to-use template that is optimized for mobile devices. Purchase and download your web application template. Unzip and upload files to your windows web host/server. Add content, customize the design, modify the templates etc. Ready-To-Go Web Application Templates Fully Customizable. Supercharge Your Web Design. We get you started with a template, you add your content and creativity to create a unique mobile web solution. Installs in Minutes: Unzip and upload your web application files to your windows host/server. Template File Architecture: Edit the template files using Adobe® Dreamweaver™ or any HTML editor. Fully Customizable: Enhance the design with your own HTML5, jquery, CSS3, Bootstrap etc. Plug-in Ready: Add to your existing website with a simple code snippet or use as a stand alone web app. Windows Host/Server: Can run on all windows servers/hosts that support Classic ASP . White-Label Your Creation: Enhance, restore, recycle, re purpose, resell etc. your web app as you wish. No Monthly Fees: Avoid monthly fees to use someone else's software, invest in software you own for life. Try ANY DMXReady template risk free for 15 Days. Links Manager Links management from your mobile device.